16 | March | 2019 | Hands Off Venezuela! RT (2019-03-16). 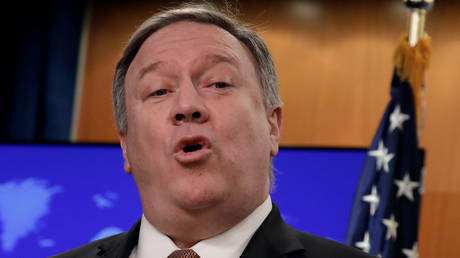 Pompeo shames Senate by invoking Iranian bogeyman after Yemen war powers vote. rt.com Secretary of State Mike Pompeo has condemned the Senate for passing a resolution to end US involvement in the war in Yemen, suggesting US military aid to the Saudis is the only thing standing in the way of a new Persian Empire. 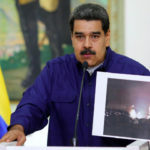 Cira Pascual Marquina — Venezuelanalysis (2019-03-15). Solidarity Isn't a Slogan, It's a Process: A Conversation with Vijay Prashad. venezuelanalysis.com In this exclusive interview, a prominent Indian intellectual examines how imperialism operates in our time and proposes specific forms of solidarity with Venezuela. STAFF (2019-03-15). North Korea Warns That Bolton and Pompeo Are Derailing Nuclear Talks. truthdig.com At least one DPRK official has blamed the failed negotiations in Hanoi on the "gangster-like" behavior of Donald Trump's cabinet members. Ricardo Vaz (2019-03-15). Venezuela: US Threatens New Sanctions as Hyperinflation Slows Down. venezuelanalysis.com The US government has increased pressure against Caracas mainly by targeting the oil industry. 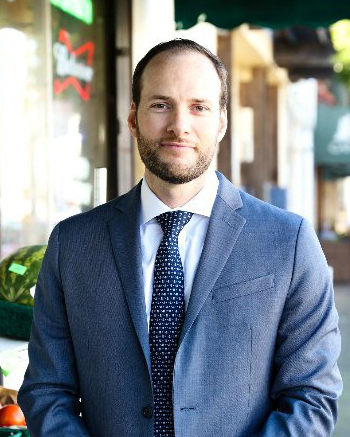 Barry Cannon, NACLA (2019-03-15). Juan Guaidó's Policy Proposals: 'The Venezuela to Come' or the Venezuela That Has Already Been? venezuelanalysis.com Juan Guaidó has a plan to end the emergency in Venezuela—but his vision looks a lot like the elite-led, violently unequal Venezuela of the 1990's. RT (2019-03-15). 'Interim president' of Venezuela not violating rules because they were changed for him — Abrams. rt.com The US-backed 'interim president' of Venezuela Juan Guaido isn't violating the 30-day constitutional limit because the legislature backing him voted to make it not apply, 'explained' the US special envoy Elliott Abrams. WSWS (2019-03-15). Pompeo enlists US energy conglomerates for global oil war. wsws.org The US secretary of state's speech laid out in stark terms Washington's turn to global "great power" conflict in which control of the world's oil remains a key component. Mark Weisbrot — The New Republic (2019-03-14). The Reality Behind Trump's Coalition for Regime Change in Venezuela. venezuelanalysis.com As the cast of regime change actors from Abrams to Bolsonaro reveals, the US attempt to oust Maduro has nothing to do with democracy or human rights. Anya Parampil, MintPress News (2019-03-14). Ricardo Hausmann's 'Morning After' for Venezuela: The Neoliberal Brain Behind Juan Guaido's Economic Agenda. venezuelanalysis.com While online audiences know YouTube comedian Joanna Hausmann from her videos making the case for regime change, her economist father has flown below the radar. His record holds the key to understanding what the U.S. wants in Venezuela. Grete Mautner (2019-03-14). From Coup D'etats to Soft Power: Dissecting Washington's Color Revolution Techniques. mintpressnews.com Over the last hundred years Washington has interfered in the internal affairs of at least 50 countries for a total of 130 individual cases. As for the last three decades, there have been more than 40 instances of such interference, including cases of elections meddling and fraud, coup d'etats and attempts to trigger armed conflicts. TeleSUR English (2019-03-14). Caracas Metro, Other Services Up and Running After Alleged Attack. venezuelanalysis.com After an alleged cyber attack left most of Venezuela without power, electricity and other services are slowly being restored in Caracas and the rest of the country. JMIDM (2019-03-13). From 'Humanitarian Aid' to a Nationwide Blackout: What Next for Trump's Coup in Venezuela? venezuelanalysis.com Washington is growing increasingly desperate as its coup efforts go further south in Venezuela, argues Jorge Martin. Ricardo Vaz (2019-03-12). 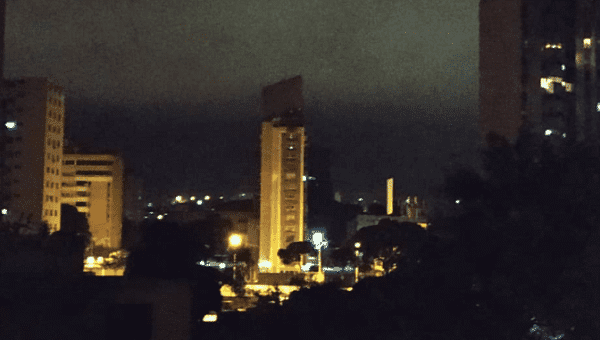 Venezuela: Electricity Recovery Continues as US Withdraws Diplomatic Staff. venezuelanalysis.com US officials have threatened new sanctions while Venezuelan authorities continue reactivating the electric grid. Gregory Shupak — FAIR (2019-03-11). US Media Erase Years of Chavismo's Gains. venezuelanalysis.com In ignoring the social gains achieved under the Bolivarian government, the corporate media justifies the US coup and right-wing opposition's to eliminate Chavismo as a social force, argues Greg Shupak. Posted on March 16, 2019 by J. Top Democrats march lockstep behind Trump's coup in Venezuela, rehabilitating war criminal Elliott Abrams. 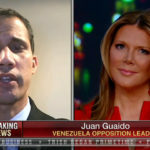 Juan Guaidó's Policy Proposals: 'The Venezuela to Come' or the Venezuela That Has Already Been? Juan Guaidó has a plan to end the emergency in Venezuela–but his vision looks a lot like the elite-led, violently unequal Venezuela of the 1990's. The US government has increased pressure against Caracas mainly by targeting the oil industry. At least one DPRK official has blamed the failed negotiations in Hanoi on the "gangster-like" behavior of Donald Trump's cabinet members. The US secretary of state's speech laid out in stark terms Washington's turn to global "great power" conflict in which control of the world's oil remains a key component. As the cast of regime change actors from Abrams to Bolsonaro reveals, the US attempt to oust Maduro has nothing to do with democracy or human rights. 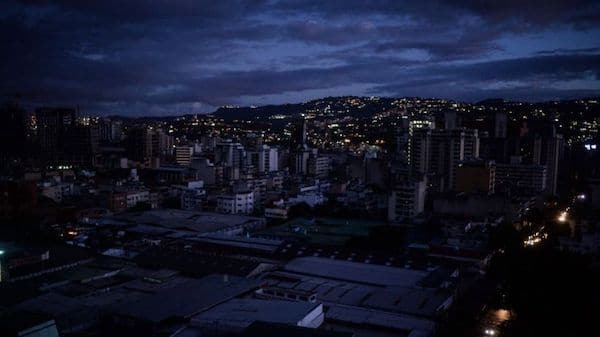 After an alleged cyber attack left most of Venezuela without power, electricity and other services are slowly being restored in Caracas and the rest of the country. Over the last hundred years Washington has interfered in the internal affairs of at least 50 countries for a total of 130 individual cases. As for the last three decades, there have been more than 40 instances of such interference, including cases of elections meddling and fraud, coup d'etats and attempts to trigger armed conflicts. From 'Humanitarian Aid' to a Nationwide Blackout: What Next for Trump's Coup in Venezuela? Washington is growing increasingly desperate as its coup efforts go further south in Venezuela, argues Jorge Martin. Joint Statement: We denounce the imperialist intervention in Venezuela. Solidarity with the Venezuelan People! US officials have threatened new sanctions while Venezuelan authorities continue reactivating the electric grid. 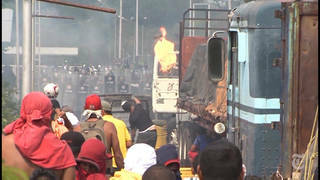 An investigation by The New York Times has found that several trucks carrying so-called humanitarian aid that were set ablaze during a showdown at the Colombia-Venezuela border last month were not caused by President Nicolás Maduro's forces, as was widely reported at the time by the media and Trump administration officials. We speak with Glenn Greenwald, Pulitzer Prize-winning journalist and one of the founding editors of The Intercept. His latest piece is "NYT's Exposé on the Lies About Burning Aid Trucks in Venezuela Shows How U.S. Government and Media Spread Pro-War Propaganda." In ignoring the social gains achieved under the Bolivarian government, the corporate media justifies the US coup and right-wing opposition's to eliminate Chavismo as a social force, argues Greg Shupak. 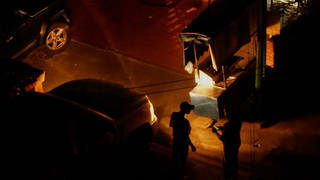 Venezuelan authorities denounced repeated attacks against the central control system of Venezuela's electricity grid.